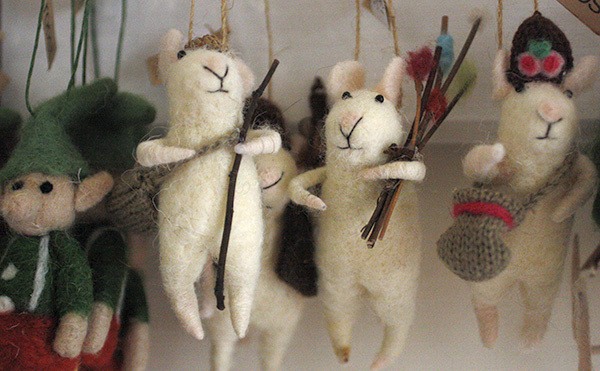 Here are just a few of the ornaments and other fun things in the gift shop this year. 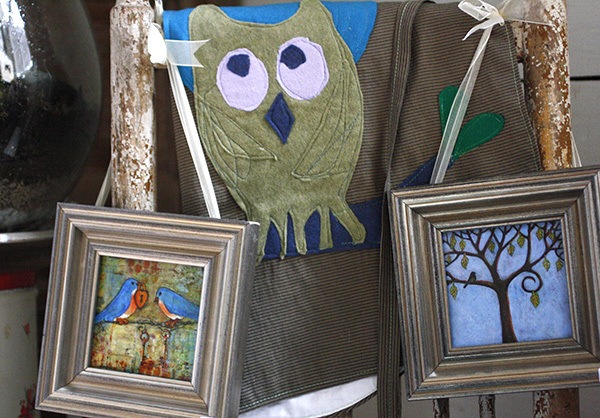 Small framed Blenda Studio prints and Owl Apron by Posthaste Art aka Erica. 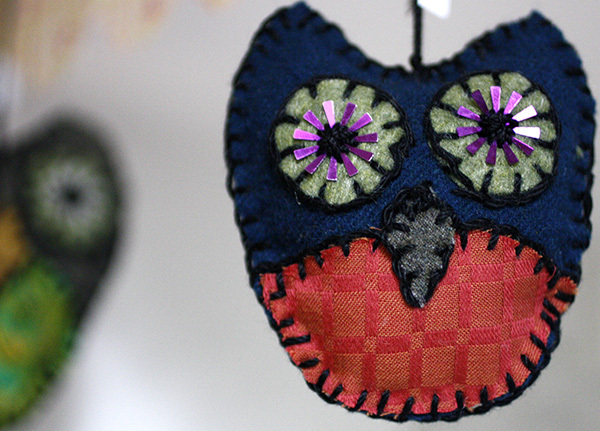 Sweet little owl ornaments handmade by Posthaste Art. 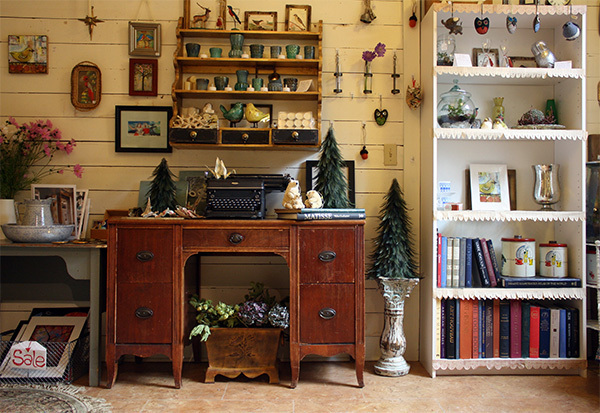 After or before you find your tree stop by the gift shop for a hot beverage, candy canes, a wreath and ornaments for your tree. For your convenience we also have tree stands, tree preserve and wreath hangers.....and plenty of helpful friendly service. 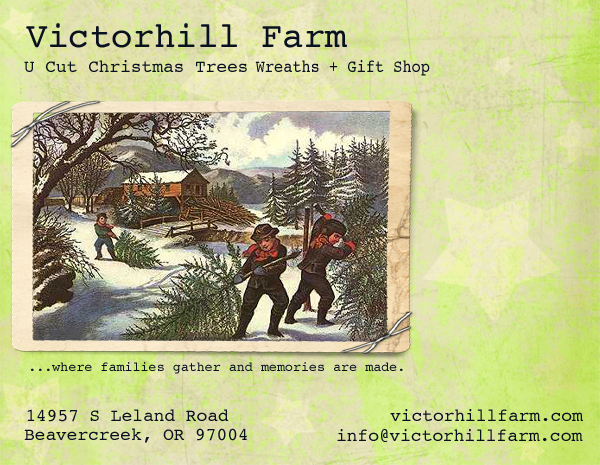 And on most days you can watch as we make wreaths. Erica and I have been busily collecting supplies, ribbons, wire rings, red berries and a big variety of different types of boughs. 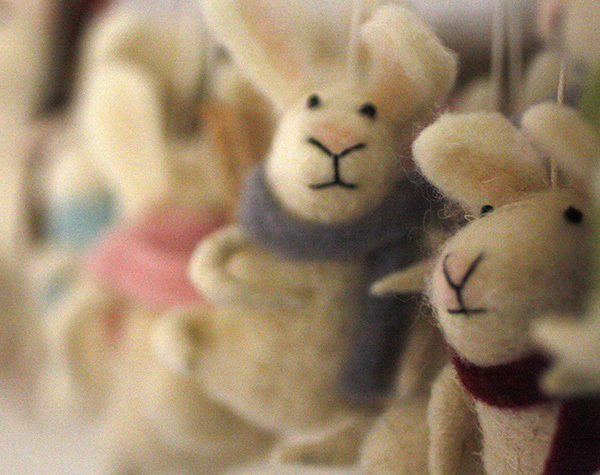 We will have a nice selection of wreaths, garland, swags and other goodies for you waiting in the gift shop or to order online. 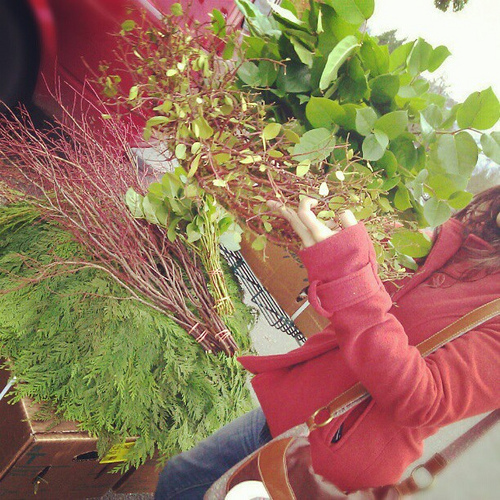 Here are a few photos of our trip to the market for wreaths material. Loading up greens, garland, etc. 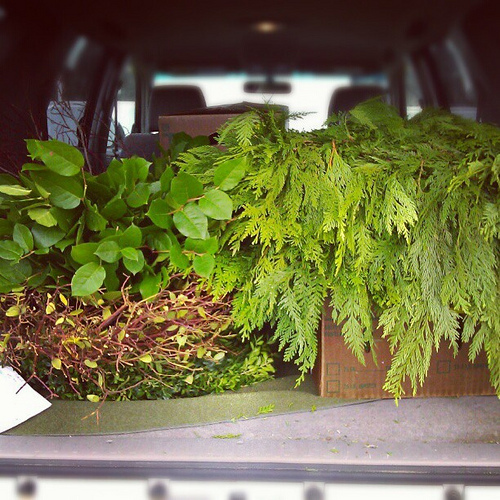 Loaded and ready to go back to the farm to begin wreath making. 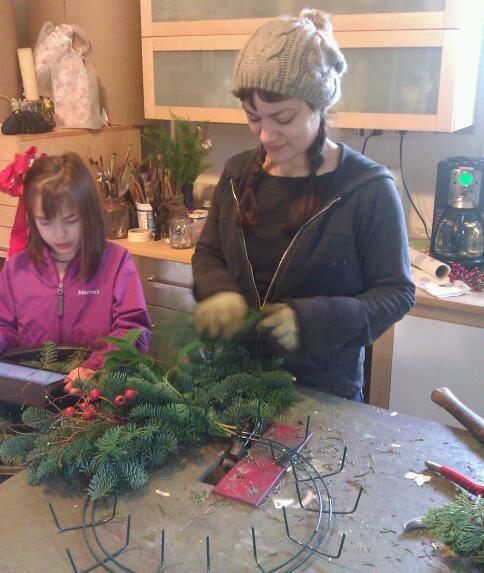 Erica and "helper" making wreaths. 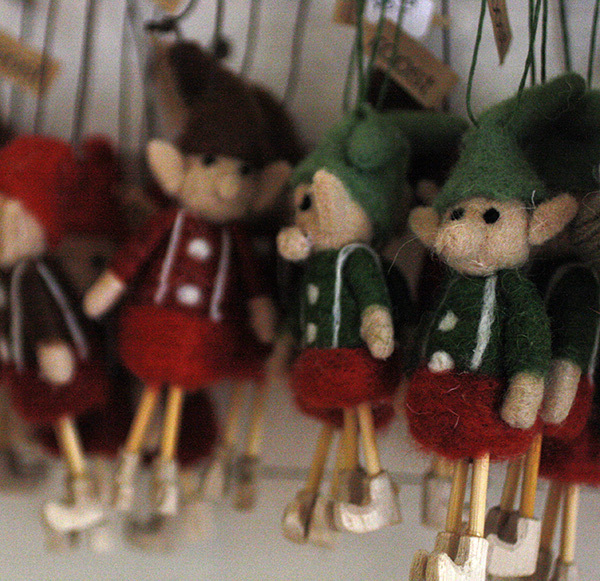 In the next few posts I'll show you photos of the gift shop and what Joe does outside in the trees. Looking through photos from last tree season 2011. I found a few of my favorite shots...love this one...this guy has a big giant sunbeam guiding him home :) What a way to go! 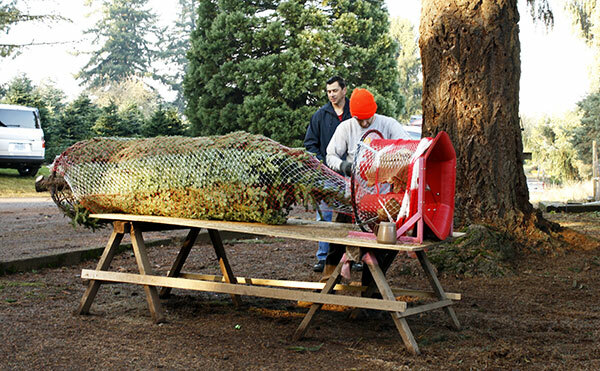 Chad is wrapping a cut tree with netting to make is easier to haul and carry into your house. 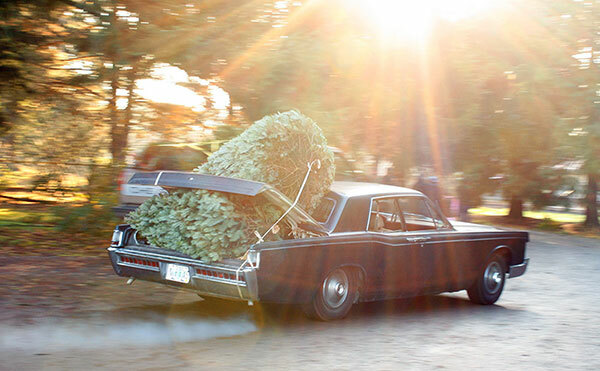 We are gearing up for the busy U cut Christmas tree season which opens officially the Friday after Thanksgiving on Nov 23rd. 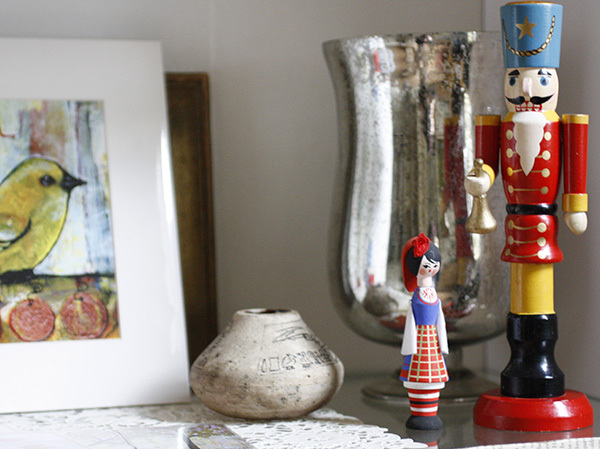 For the early bird shoppers we will open beginning the weekend of Nov 17th and 18th 2012.